Last month, I was surprised when people started sending me congratulatory email and Face Book messages, as well as congratulating me on the street. Maybe they were commenting on the photo show Evelyn and I had completed the prior month… but then why the month delay? 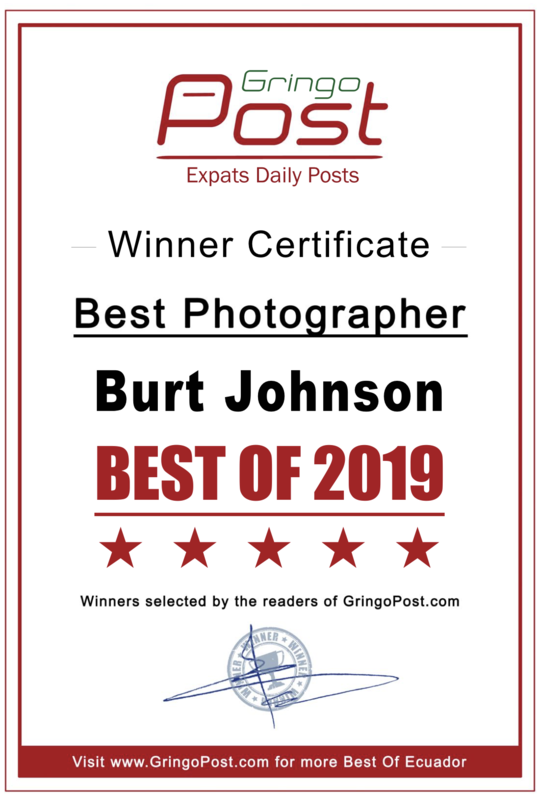 To my surprise, I discovered that I had just been voted Best Photographer of 2019 in GringoPost (a daily newsletter in Cuenca, Ecuador, aimed at expats). Thanks to every one who voted for me.